What is Instagram IGTV and How Do You Use it Effectively? Blog > Instagram > What is Instagram IGTV and How Do You Use it Effectively? 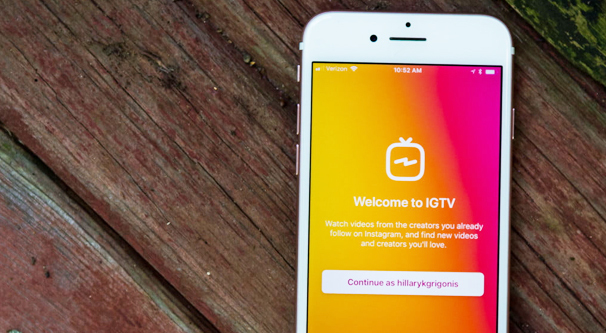 In the middle of June this year, Instagram’s CEO announced – and subsequently released – a new feature/app for Instagram known as IGTV. What is it, how does it work, and how can you use it for your brand? IGTV, as you can probably guess if you know anything about acronyms, is Instagram Television. It’s a long-form video app that can be accessed within Instagram’s app, or with its own stand-alone app. You can find the Android app here and the corresponding iOS app here. Both are, of course, free to use. IGTV is aimed to be a mobile competitor to YouTube, though I have my doubts about how successful it can be. My doubts stem entirely from one major facet of how IGTV works. IGTV is a video platform designed natively for phone devices, which means primarily one thing. Videos are full screen and vertical. Given that the majority of media production in the world today is aimed at horizontal widescreen formats, like movie theaters, home televisions, and computer monitors, focusing on vertical video puts IGTV at an inherent disadvantage. It also massively complicates unified video marketing efforts, something I’ll talk about more later. 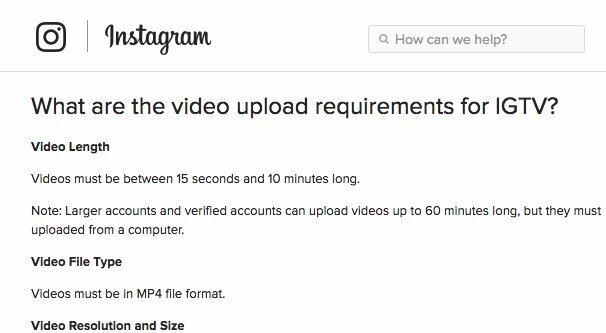 Unlike other video posts on Instagram or Instagram Stories, IGTV videos can be up to an hour long. I rather doubt most people want to hold their phone and stare at it for an hour to watch some company’s branding, but hey, you never know what works. We’ll talk more about that later as well. Is IGTV worth using? Well, let me throw a statistic at you. Facebook is the number 1 largest social network, and YouTube is number two. Combine the two and you have Instagram’s IGTV, with Instagram having just surpassed 1 billion users, making it the third largest social network in the world. Put simply, if you’re not already working on video marketing, you should be, and if you are, you should consider IGTV. There’s a lot to cover with IGTV, so lets dig right into the specs. As mentioned, all videos are by default vertical and full screen. This is to facilitate the impression of television, alongside how the app specifically works. As mentioned in the announcement linked above, videos begin playing as soon as you open the app. You have three “panes” as a user. One is “For You”, and includes videos recommended for you based on your interests and past viewing. One is “Following”, which gives you videos from users you follow. The third is “Popular”, which as you might expect, showcases the most popular videos on IGTV. You can also continue watching videos you’ve started but not finished. At any time, you can like and comment on videos, or share them with other Instagram users via a direct message. IGTV has channels, but the channels are just creator profiles, much like how YouTube has creator profile pages. When you follow an IGTV creator, their videos show up in one feed as a channel you can watch. Videos for most users can be anywhere from a minimum of 15 seconds long to a maximum of 10 minutes long. Hour-long videos are limited to larger accounts and verified accounts. Videos on IGTV can be viewed in the IGTV app or in the Instagram app, and also on the web. Creators have the option to simultaneously upload videos to Facebook as well. Videos can be a maximum of 650 MB (3.6 GB for those with hour-long capabilities) in size and must be in a 9:16 aspect ratio. Files must be in .mp4 format. Thumbnail/cover images for videos can be uploaded in .jpg format. The recommended size for such images is 420×654 pixels. NOTE: You currently cannot change or edit a cover photo after it is uploaded. Videos cannot be more than 720p or more than 30FPS. Additionally, as of now, there is no way to monetize IGTV like you can monetize YouTube videos. There may be monetization in the future, but it doesn’t currently exist. I assume you’re already using Instagram, but if you’re not, you should get on that. In order to use IGTV, you need an Instagram account. 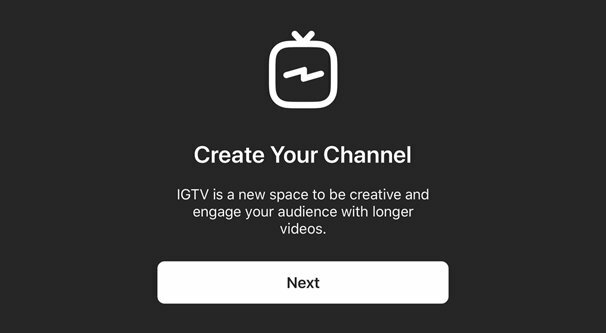 To start up an IGTV channel, open the IGTV app, the Instagram app, or Instagram on the web and find the TV-looking icon. Tap or click it and you will be prompted with some informational boxes to get started. They will give you a quick rundown on how the system works, and then present you with an upload box. Simply upload a video here and you’re good to go. You can choose a video on your phone, or you can upload one from PC by dragging and dropping it. You can upload a cover photo for the video, add a title and description, and optionally choose to publish on Facebook as well if you have a Facebook account linked to your Instagram account. NOTE: You can currently only edit the title or description of a video via the web interface, not through the apps. Make sure to proofread before you hit submit, especially if you aren’t in a position to edit quickly in the case of a mistake. Once you create a channel, you’re good to go. Instagram followers automatically follow you on IGTV, and vice versa, since the accounts are the same. IGTV’s stand-alone app is simply a convenient way to access exclusively video content, bypassing the normal photos and shout-outs and whatever else accumulates on a profile. IGTV video posts show up in your Instagram feed, but normal photo posts don’t show up in your IGTV feed. Additionally, IGTV videos automatically have insights added to the normal Instagram Insights portal. You’ll be able to see the usual video metrics, like views, watch time, and demographics of your audience. If you’re interested in using IGTV for marketing, you have to keep one primary concern in mind: cross-posting video. Since IGTV is exclusively vertical videos, you’re going to have a hard time simply cross-posting videos from IGTV to Facebook or YouTube. Facebook takes them better, but YouTube doesn’t handle vertical videos well at all. If you want to post the same basic videos on both YouTube and IGTV, you’ll want to render both a vertical and a horizontal version of each. It’s a lot of extra work and a pain to do, so make sure you know what you want to do with each platform. With that in mind, here are ideas of video content you can create to post on IGTV. Team or brand introductions. It’s always a good idea to humanize your brand. If you have a public face, a community monitor, or some other person in charge of outreach, you can put them in front of the camera and let their charisma go to work. You can also do weekly spotlights on individual employees, having them talk about what they do, why it’s important, and what impact it has on the products your customers enjoy. I’ve seen this used to great effect in small video game developers, for example. Brand inside looks. A behind the scenes look at your business in operation can be a great and enticing way to build fans. How It’s Made didn’t become a hugely popular show for no reason. See also Dirty Jobs, Undercover Boss, and all the other “look behind the curtains” shows. It’s hugely popular for a reason, and the more intricate or interesting your day to day processes are, the better suited your brand is for it. Industry documentaries. Add a little production value and widen the scope and your company behind the scenes can be an industry behind the scenes. Wider documentaries are always a niche market, but that niche can be very beneficial for your brand. Those kinds of fans tend to be very loyal advocates, particularly if your findings line up with their pre-existing views. Unboxing or basic demo videos. A lot of people probably want to see what it’s like using your product before they buy it, so publishing a few videos showing them what they’re getting is always a good idea. Admittedly, this is a lot harder for something like software than it is for a piece of tech or apparel, so this one might be highly dependant on your niche. Product tutorials. An extension of the above. Teach your users how to use the product they bought. A makeup seller can showcase how to apply different styles, apparel sellers can showcase combinations of products, etc. DIY instructions. Sometimes your product doesn’t have all the answers. Rather than refer customers to someone else, show them how to DIY a solution to their needs. Commentary or podcast content. You don’t necessarily need advanced graphics and editing to be compelling. Condense a standard blog post into a script and read it with some props, or a whiteboard, or even just a friend to back-and-forth with. Spice up the content to keep it interesting and it makes great video. Teasers for upcoming content. Media companies especially can make use of the relatively short format of IGTV videos for teasers and trailers, but anyone with a product to launch can make a teaser for it. Sponsored content. Don’t forget sponsored content! IGTV might not be monetized yet, but you can always let people pay you for a shoutout. Just make sure you’re complying with the relevant rules in the general guidelines. Once you have your content up and running, you need to optimize it. As I mentioned, you can only made edits from a computer using the web interface, and not from the mobile apps. Make sure you’re using the right system if you want to edit anything after the fact. 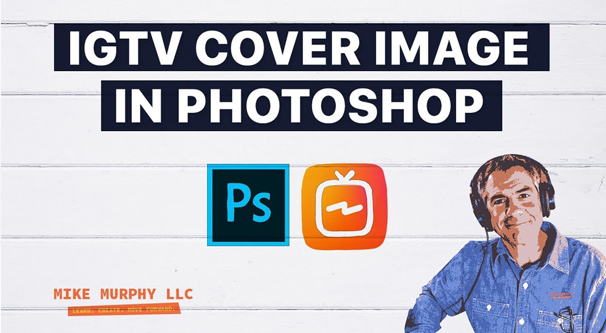 First up, make sure you’re uploading a good cover photo for your videos. 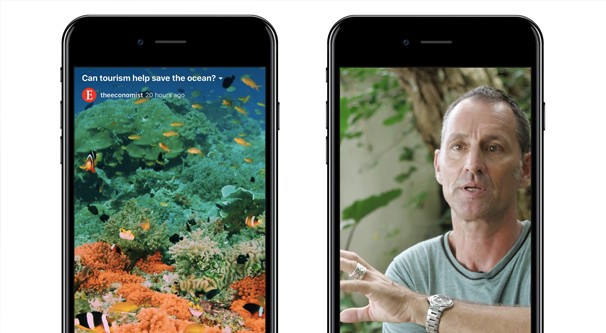 The cover photo is the first impression many users get of the content of your video, so you don’t want it to just be some random frame from the middle of a 10 minute demonstration. Mock up a good cover in PhotoShop and upload it, it shouldn’t take very long. Secondly, write compelling titles for your videos. If your cover image doesn’t clearly demonstrate what the content of the video will be – and even if it does – the title should be evocative of what the content is. There’s a wealth of YouTube-based title information out there, so feel free to read up; it’s basically the same. Third, as you might expect, optimize your description. This includes hashtags! IGTV video posts are basically the same as standard Instagram video posts, so you can include hashtags and those posts will show up for those tags on Instagram. All the usual hashtag advice applies. Fourth, keep an eye on your video performance metrics in Insights, and optimize future content. As with any good marketing technique, you won’t strike gold immediately, you need to dig for it. Start with your best guess, perhaps based on the content your audience likes on Facebook or YouTube, and go from there. Finally, consider optimizing your Instagram description for IGTV. IGTV only gives you about a sentence and a half worth of space for your profile information, but it’s the same information as your main Instagram profile. Either keep the description short, or write the first part for IGTV and the second for normal Instagram users. 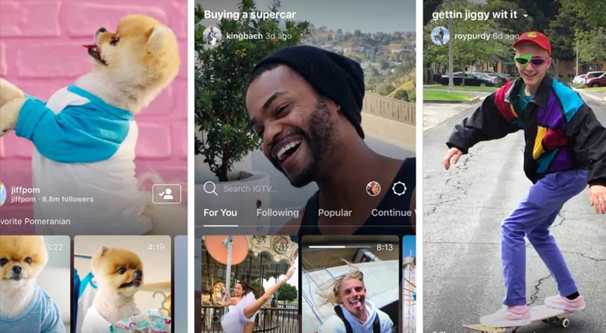 There’s a lot still to come with IGTV, as brands figure out how best to use it, Instagram figures out how best to improve it, users get used to navigating it, and monetization arrives. You’re an early adopter if you’re getting in now, and that’s a great place to be.